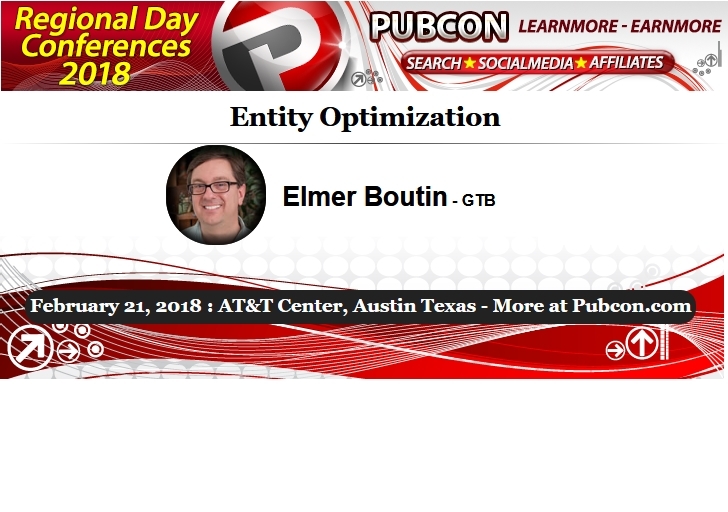 I'm happy to let the 2 or 3 of you who read about me here that I will be presenting at the next Pubcon event in Austin, Texas on February 21, 2018. 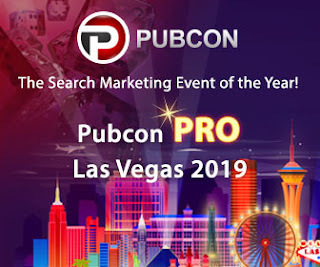 My session will be "Entity Optimization" and I will present an updated version of the same deck I shared in Vegas last November. I've learned a few new things since November, and I'm glad to be able to share them. 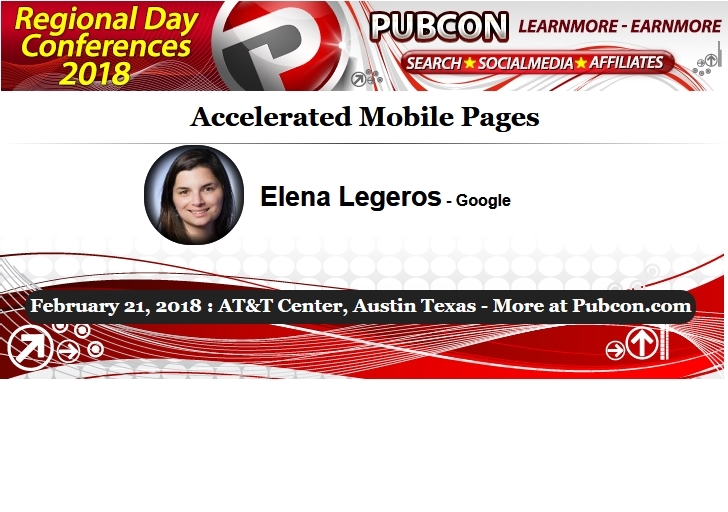 I will also be moderating a session on Accelerated Mobile Pages in which Elena Legeros from Google will be presenting. This should also be an interesting session. If you're at the event, please stop and say "hi."